One week after the washout of Bellpuig, the Grand Prix season showed signs of returning to a more normal state of affair as the sun smiled on Agueda. In the MX2 class, reigning champion Antonio Cairoli showed signs of returning to awesome form. The Sicilian charged to a brace of unchallenged moto wins ahead of KTM’s two-pronged attack in the form of Tyla Rattray and Tommy Searle, who swapped second and third places to level on points with South African Rattray getting the nod due to his better second moto. Searle’s podium was just the highlight on a great day for the Brits. Stephen Sword, approaching his brilliant best after two horrific injury-ridden years, took fourth overall, whilst Carl Nunn had a great ride in moto two, starting at the front and holding on to seventh at the finish. Shaun Simpson followed Nun over the line after just missing the points in the first race, whilst Elliot Banks-Browne not only qualified, but logged two points-scoring rides when it mattered most. 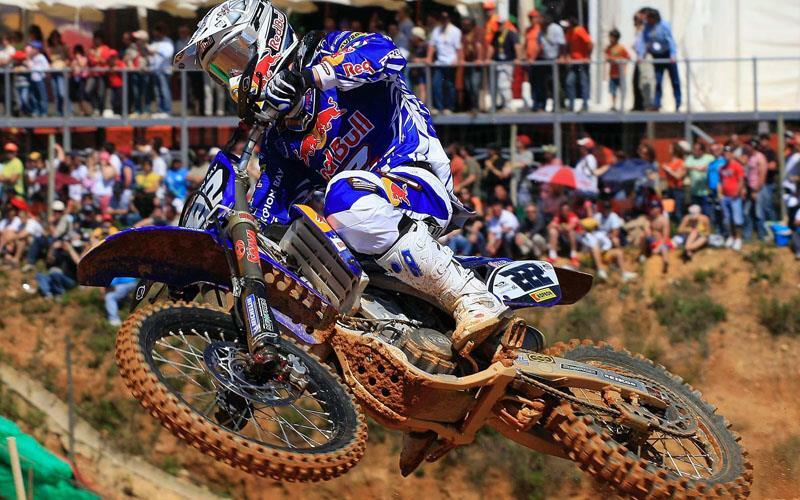 David Philippaerts and Sebastien Pourcel swapped wins and seconds in the MX1 class. Pourcel took the overall on the day, but Philippaerts was overjoyed to take the championship lead. The championship going into Portugal was Ken De Dycker, but the big man had a nightmare of a day, riding with an injured hand and unable to stay on his Suzuki. His team mate, reigning champion Steve Ramon, logged a typically anonymous day for fifth overall after his 2007 rival Josh Coppins mugged him late on in moto two. For Josh, it marks the real start of his championship bid, as his damaged foot is getting to a point where he can ride near to his potential. On the subject of potential, Billy Mackenzie led both motos in Portugal, fading to fourth in the first race and crashing to sixth in moto two. It seems the young Scot has the pace to challenge for GPs this year, if he can stay on the bike.